Why Poker players have to Warm UP? Every time you sit at the poker table you can win or you can lose. What makes the difference? Factor one – variance. When you move all-in preflop with Pocket Aces in NL Holdem and lose the hand, you are face to face with Her Royal Highness Variance. Variance is the mathematical certainty that even when you have the best hand, you will, sometimes, lose. What can we do about this? Nothing. So accept it – in fact, embrace it, variance exists. Also, If weaker players would not win sometimes they would very quickly give up. Would you step into a boxing ring with a world champion fighter if every time you did you got beat up? How about if you won 4 out of 10 times? Perhaps you might start to think about it? This is what makes the games profitable. Do not let your experience of being on the wrong side of variance impact the quality of your play. Over time the best players will always win. The extent to which distracting factors influence you and many other factors besides. 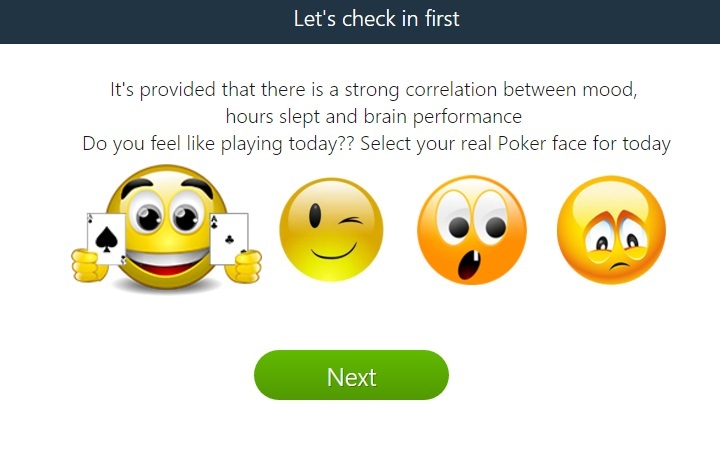 Poker Warm-Up is a web-based application that allows poker players to create a well-structured and individual poker warm-up routine which prepares them to perform at the top of their poker abilities. Nobody can play their A-game all the time, but by warming up you can increase the likelihood will start your session in the right mindset and more often, while at the same time minimizing the chance that your terrible C-game occur! Another benefit of warming up and playing your best game is that learning in poker becomes a much easier and smoother process. It is usually caused by a lack of technical knowledge, discipline or emotional control (known as Tilt). The main reason some poker players, also known as -sharks-, can be so profitable is that they are not only good at identifying and constantly using the leaks of their opponents, but also able to identify their own leaks which makes them lose less money even when cards run bad for them. Leaks can be Technical meaning that they are caused by a lack of technical or statistical knowledge or Mental (Mind Leaks), causing a player to make wrong decisions even when they technically prepared to make the correct decision. Being able to Identify and fix leaks must be a primary goal for any serious poker player. Leak identification is a huge topic and to successfully pinpoint your leaks and correct them will require a lot of hard work. Some good starting points and general ideas are outlined in this “How to Identify Leaks” blog post. Every time just before you start playing, One by one, recollect each of your leaks. By doing this you force your brain to recognize situations preceding the particular leak in your game. For every leak there is a correct way of thinking (solution) which will help you to make a correct decision when you encounter a similar situation again. Once you have identified a leak and the corresponding solution (the correct way of thinking) you must update your personalized Poker Warm Up. When you edit a leak you can also record a corresponding example hand which reminds you what happened last time and what should not happen again. This is an important tool that will help you to recollect the solution to the leak when you are playing live. By going through the thick forest of your leaks you bring this information to the very front of your brain allowing you to recognize the forthcoming problem quicker and more often and adjust accordingly. By recurring repetition of this process (ideally every day before your session, or even several times a day) you are making a new habit of recognizing, fighting and eliminating your leaks. Essentially it makes your “learn while you play” process far more effective. Coaches: personal Coaches or just a friend who plays a couple of stakes higher than you would be highly beneficial too. There is a list of predefined Technical Leaks to choose from in the Poker Warm-Up tool. Once you created your account you automatically get a default warmup which can be modified to suit your particular case. The main point is to find situations that make you lose money on a regular basis, day after day and plug that leak. Sometimes players are even aware of some leak in their game but they are just not disciplined enough to put in some work to fix it. Mind leaks are a bit more complex. Unfortunately, there is no tracking software for our mind and mental and leaks themselves can be quite subjective. Mind leaks are not necessarily something that leads to immediate tilt. They can just as easily provoke subtle emotions that are overly negative or overly positive smaller emotions can accumulate over time. Soon emotions will flood your mind and put you on tilt. For starters: Remember situations which make you feel like something is unfair or should not be this way. Or a particular kind of thought you have at the table that leads to you feeling uncomfortable. For example, take the classic coin flip…you moved all in preflop with QQ, got called by AK and lost. For many players, even professional players this outcome brings negative emotions. Why? Partly because they don’t accept the mathematics of poker and variance and partly because they measure their results and success by things that are outside of their control. Every time you resist the reality even just by thinking that it should be different than it is now you are making a very great mental mistake. The idea is to notice what kinds of reality you don’t accept, and then try to understand why you resist that particular aspect. The reasons can vary from the improper understanding of technical fundamentals like variance and poker math or mental issues like irrelevant goals you have for your game or a wrong understanding of what constitutes a mistake and how the learning process works. For more details and a deeper understanding of Mind Leaks and the Mental Game of Poker I highly recommend the books, videos and forum articles of Jared Tendler. PS: Interpretation of most common mind leaks as forms of tilt illustrated here. As with Warm Up, Cooling Down after each poker session is a powerful and actionable way to improve your skills as a Poker player. Proper Poker Cool Down have to address three main targets. One – Variance. Estimate how Variance affected your end results. We all know Poker is a game of both Skill and Luck. But being a professional poker player means you need to be able to dissect those two and take into account only the actionable part of it. Two – Quality of your game. Analyze how well you played, how did you cope with your own Leaks and Tilt issues. Solid Cool down also allows to make a first stop in preparation for the next session by pointing out what you need to be aware of during the play. Three – Peace of Mind. Cooling down should help you to ease the heat of the battle and put Poker aside for the rest of your day. Being a professional it is important be to able to relax and enjoy your life outside of Poker, no matter how your session went and what the results are. Every Poker player, be it long-term professional or a new born amateur , sometimes find it hard to wind down after a session of poker. “Poker Cool Down” will be doing exactly that for you. Similar to Warm Up it provides you with a clear and thought-through set of actionable steps in order to leave the Poker where it belongs to – at the Poker Table and don’t bring it to your life. There is a handy feature added into Your personalized WarmUp: you may go to the Previous steps and tune your WarmUp focus if needed without starting all over again. Hope you like it! Together with this we applied number of fixes and yeah we have new logo 🙂 How do you like it? 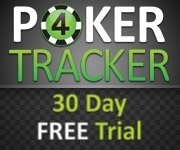 It’s being a while since our latest update but we are keep working on Poker Warm Up improvements when have time :). Latest update has lot of fixes (not always visibly noticeable) and several major changes which you hopefully like. Dashboard has a new view and number of changes. We decided to help everyone track their activity and mood/play correlation. Just check it up after login and you’ll see how it works. Finally (were asked earlier by users) we’ve added Localization to the website. Now it has English and Russian but with option to add more locales. It depends on available translations. Taking into account poker language specifics we would prefer to have human translation – not Google. If you are foreign native speaker and would like to help community with translation please contact us feedback@pokerwarmup.com. Registration and Sign In forms now simpler and easier to use. Don’t forget to keep Your Game Hot every session – Warm Up!! Epic change on @Pokerstars with introduction of the “King of The Hill” on all HU stakes. It was coming way too long… Now confirmed by Stars Support. So now it’s surely time to study and keep updated both technical and mental aspects of the game for hundreds of HU poker players. We can confirm that we have applied a cap on the number of heads up tables that can spawn for all stakes of NLHE and PLO ring games. In effect this provides a King of The Hill system which should encourage players to play each other rather than blocking the tables waiting for weak opponents. And approximate number of tables. I didn’t check but it looked right at first glance. As our designer is currently unavailable, I’ve created a PokerWarmUp banner for the exchange program all by myself, using only MSPaint and couple of free online tools. 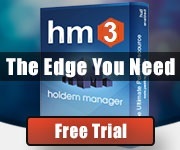 I am sure many of PokerWarmUp users will find it useful like I did. What better appreciation of your service can you receive in black & white ?! Translation to other languages including Russian is the planned feature. Dear users ! Please let us know if you are interested in helping us, yourself and speakers of your language to make this great Poker tool really available to everybody who is keen. As for donations, for me personally the PokerWarmUp.com is in a way my own donation to her majesty Poker. For all the good changes she brought into my life.